Posted: Mon Apr 03 17 10:38 pm Post subject: Chucky time! Hi All! It's been a long winter, with only a few opportunities to fire up the smoker...mostly pork ribs. But today is a beautiful spring day and I could not resist. A nice 3 pound chuck roast rubbed with mostly S/P, but also a little garlic and onion powders is already on. My smoker is the double barrel CharBroiler Gas/Charcoal combo. I used a half full weber chimney of Kingsford original and a handful of cherry and whiskey chips. Humming at about just under 300 degrees right now. I have a water pan in there to keep things moist. My plan is to stay the hell away for about 2 hours, then check the temp. If it's at 150, I'll wrap it and put back it for another hour or 2, until it hits 190, or is pull apart tender. But for now it's time to wait and drink a...dammit it's Monday morning...gotta get some work done! I'll do my best to take and post pics! Trying to add pics, but can't figure out how. The Img button doesn't seem to do anything. You need to host your pics at a site like flickr or photobucket. Got another chance to upload those photos? I find photobucket share pics easier. 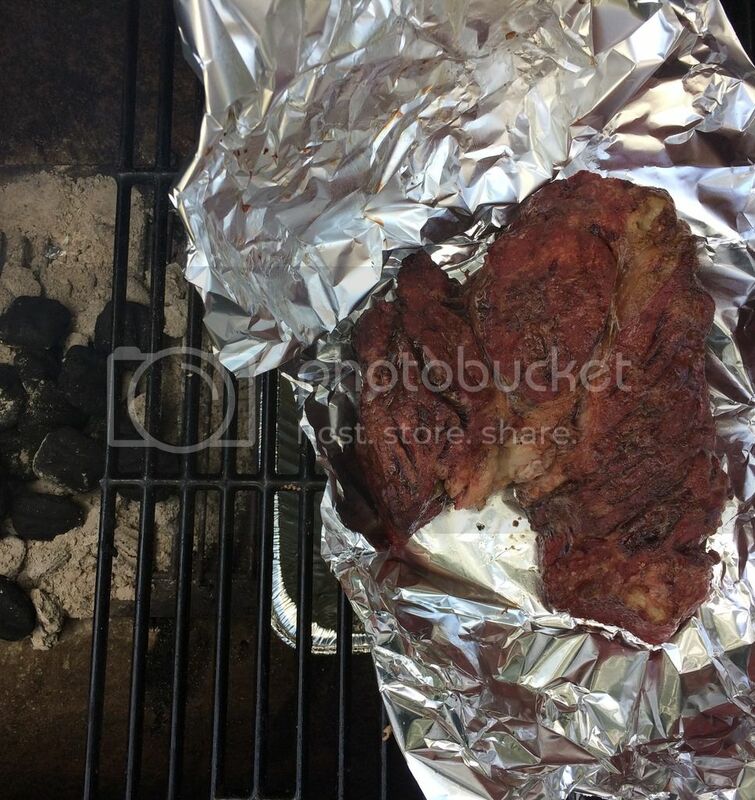 I finally figured out how to use photobucket...it's harder than smoking the meat. Here are the Chucky pics...it came out great! 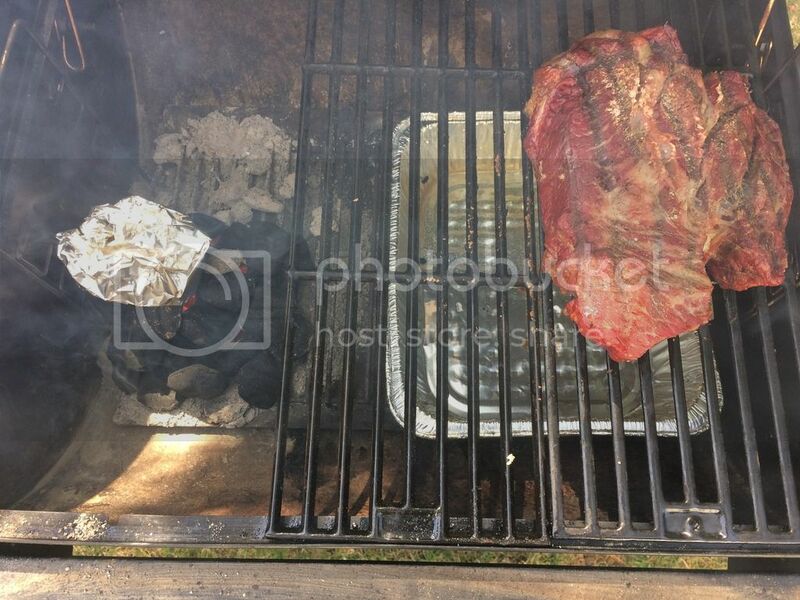 Looking forward to more smoking and sharing more pics soon!